Visitors heard expert talks about all things Dog Adoption and learnt about how adopting their newest furmily member could be the most rewarding experience of their life. 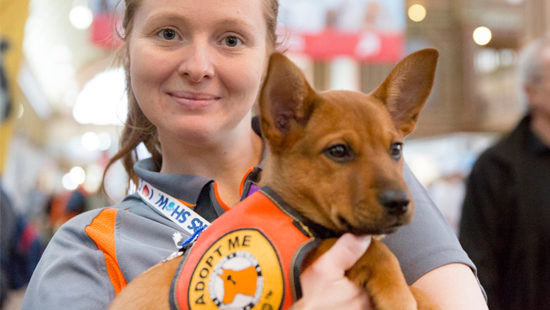 The 2018 Dog Adoption Zone returning with a dedicated Dog Adoption Stage to help educate and inform Dog lovers about the world of Dog adoption. Visitors had the opportunity to hear directly from Rescue Groups and what they had to say about Dog adoption. Visitors also listened to past adoption success stories as well as met some of the dogs currently up for adoption. We will continue working with our rescue groups to demystify common untruths surrounding adoption and provide potential owners with the most accurate information to ensure they are making the best decision.